24th of May 2005 Peter Moyo passed away. Iam very sorry to say that Peter passed away on the 24th of May ,he was involved in car accident. We greatly miss him as church and family. We hope to carry on with the vision he had for the ministry and to maintain the relationship he had with you and I pray that God will continue to bless you for devotion and continued support to our ministry. 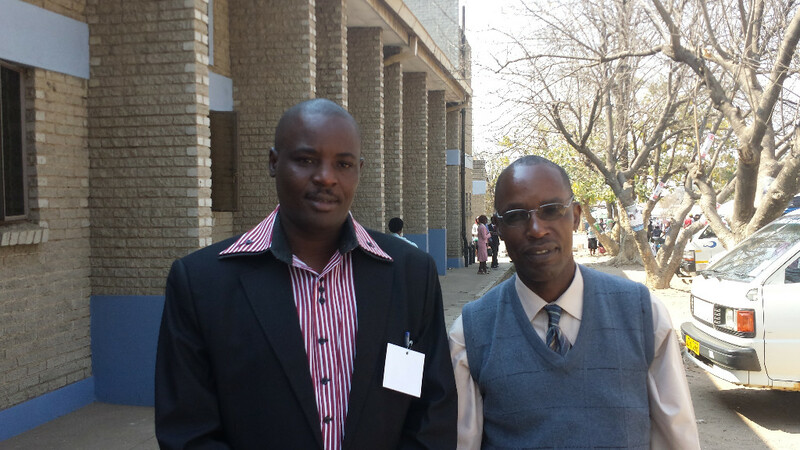 I Zekia Moyo his brother, Iam determined to carry on with the vision Peter had and to continue working with you. I, therefore, on behalf of the church invite you to Zimbabwe as per your agreement with Peter. I expect to hear from you soon and please Peter’s email address until advised otherwise. Pastor Peter wanted me to go to Zimbabwe to preach and I said I would but for now we would send the seed. Grain for the harvest of souls and to feed the people of Zimbabwe and we did that very thing. Pastor Peter was so excited in getting the funds to purchase the seed locally. He was so excited for the living word for his country. He was so excited for his Jesus. We talked and he was distributing the seed and knowing the seed was for REVIVAL in his land, Zimbabwe. The word never turns void. The word is ALIVE! The word of God and the prophet is word for Zimbabwe will happen in Jesus Name. We sent enough seed to feed more than a million people in Zimbabwe and he was killed one week I believe after he received the seed and distributed most of it to the four corners of Zimbabwe. His brother called me but I could not understand him but he did the best to inform me of his brother’s death. He also informed me that the grain or seed for planting was distributed. 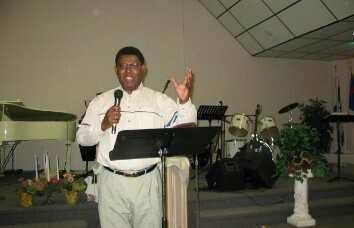 I have an invitation to Zimbabwe that the Holy Spirit will full fill in Jesus’ timing for revival in the land. I prophesied Repentance in the Land for Zimbabwe over Pastor Peter that the seed we gave at Resurrection Life was both spiritual and natural seed for feeding the people naturally of Zimbabwe and the Spiritual seed to bring REVIVAL to a dry and thirsty land. I prophesized in Jesus name and in the power of His Blood Revival POWER of the Holy Spirit, Resurrection Life to the country of Zimbabwe, the people of Zimbabwe and to the Bride of Christ in Zimbabwe. That repentance would be the cry of the people’s hearts, their tears the faith that would shake the throne room of God and Pastor Peter shook with joy in the Holy Spirit and wept and knew it was the true word of the Lord “Repentance and Revival and Resurrection Life for his land”. 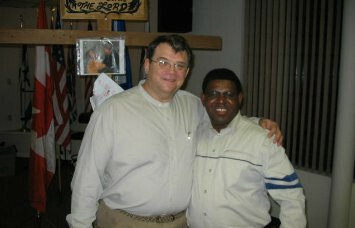 Pastor Peter said he just loved the name Jesus gave us “Resurrection Life”. Pastor Peter wanted to start and build a church one day and call it Resurrection Life. He said it shook his Bones and his Spirit. Then it was also prophesized at that same time by Pastor Charlotte Baker (My Pastor) that there would be Martyrs in His Ministry in Zimbabwe. 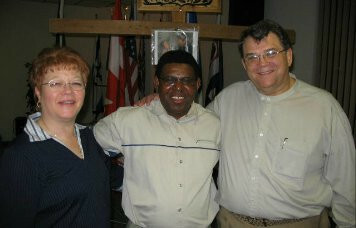 (The picture is there Pastor Peter, myself and with Pastor Charlotte Baker. 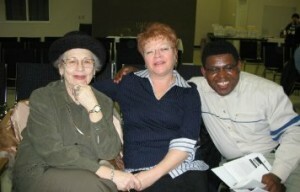 Pastor Charlotte Baker is a proven and known prophet in the world. She is 87 last January and alive in the SPIRIT. Revival is imminent in Jesus Name. Repentance is now in the land of Zimbabwe. The throne room of God awaits the tears from the people of His Pasture. 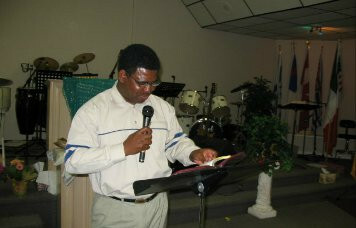 Prayer in Faith will produce Revival, Freedom, and Liberty in Jesus Name. Revival Fire is coming and will be sweeping across your land, Zimbabwe. Resurrection Life will be the FRUIT the Fruit that will last (Rev22:2). 1. Three major crusades in three big cities of Zimbabwe. 2. Pastor,s training time for a week. 3. Outreaches in Rural Areas were A.d.s had caused a havoc. 4. Women,s fellowship,your wife should prepare to teach these women. I will be able to take you for a rest in one of the famous places in Africa,The Victoria Falls. Many people in Africa are dominated by evil spirits so if you put up a team of deliverance it will be great.Zimbabwe is one of the nations which is ripe for harvest. i have the money.I propose to share the seeds with 100 leaders in my church.If i have at least 900 dollars this can help me.We have more than 4000 people but because of resources i propose to give seeds to 100people only. Ray the money can be send to Botswana in Francistown by Western Union.You can go to any Western Union in Canada and ask them how you can send the money to Francistown in Botswana. i will be able to get the money to Western Union Botswana. 1.The name of the sender. 3.The answer to your proposed question. Western Union have got offices all over the nations,it takes only 15minutes to receive the money. As soon as i receive these details i will travel to Botswana.